Slogging across my frost-slickened lawn, kayak on my shoulder, I wave to my grocery-hauling neighbor. The look on her face is a grandmotherly mix of curiosity and concern. “Are you really going kayaking today?,” she asks. “Well, bless your heart.” It’s a near-bluebird December day, the sky streaked with just a few tendrils of cloud. I drive past bare-bones trees, shriveled lawns, and sidewalks crystallized with ice en route to the Mason Neck peninsula, a 9,000-acre incisor of land engulfed by the Potomac River. A ribbon of wilderness tracing the western edge of Washington, D.C., the Potomac River is the capital’s undisputed recreation hub—a waterway infused with adventures, from the whitewater churning through Mather Gorge to the flatwater bays south of the city. During spring and summer, the most accessible portions of the river become a rollicking offshore block party for the city’s boaters and paddlers. By the time winter rolls around, though, the Potomac is deserted. Before the first dusting of snow, the bulk of the city’s kayaks and SUPs have already been tucked away for seasonal hibernation in favor of skis and snowboards. However, winter in Washington usually lacks the frigid extremes of New England or the Mountain West—meaning, save for those rare days when the Potomac has been iced into a full-fledged skating rink, the beloved river is imbued with adventures all year long. 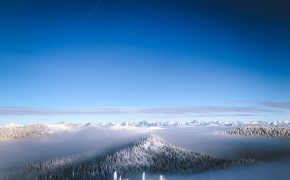 For plucky paddlers with the right gear, winter is possibly the most exhilarating time to be on the water. Frosty days provide Potomac paddlers the chance to glide past the river’s frozen formations and crunch through ice on the waterway’s slender tributaries. Along the shore, leafless tree limbs make it easier to spot winter birds like bald eagles, winter wren, and yellow-bellied sapsuckers. Plus, massive swarms of migrating waterfowl descend on the city in winter, gathering on the river in honking hordes. While avifauna is plentiful, fellow paddlers are not, making the rush of being a mere speck on the mighty river even more profound in winter. The beach at Mason Neck State Park in Virginia. At Mason Neck State Park, I unload my kayak beside the Turtle Pond, the tiny tarn glazed with ice. A winter breeze raises goosebumps on my skin as I wrestle into my wetsuit beside the car. From the sandy beach, I slip soundlessly into Belmont Bay, gliding through a blanket of floating Hydrilla. A posse of bobbing Canada geese scatter as I paddle toward Kane’s Creek along the Occoquan Water Trail, a 40-mile route that eventually joins the Occoquan River. Belmont Bay is also a wintering hotspot for tundra swans, drawing throngs of the snow-white waterbirds every December. As I paddle, swarms of black scoters gather above, wings fluttering at warp speed. Along the soggy shoreline, lanky-wing herring gulls huddle in a cacophony of cackling. After two hours on the water, a great blue heron soars past the bow of my kayak as I head back toward the launch, its twiggy legs dangling just above the water before it lands beside my boat in ankle-deep shallows. I stop paddling and watch the steely gray bird, silently drifting closer. The heron glances up, seemingly surprised to see me, and then continues foraging. For the moment, it seems we have the entire bay to ourselves. Spread along the Pentagon Lagoon in Virginia, the Columbia Island Marina ($5 launch fee) offers year-round access for kayakers, putting paddlers on the water beside the Tidal Basin and within easy striking distance of Theodore Roosevelt Island, both winter hotspots for migrating waterfowl. Barely two miles from the Columbia Island Marina, Gravelly Point Park hems in one of National Airport’s perpetually buzzing runways. 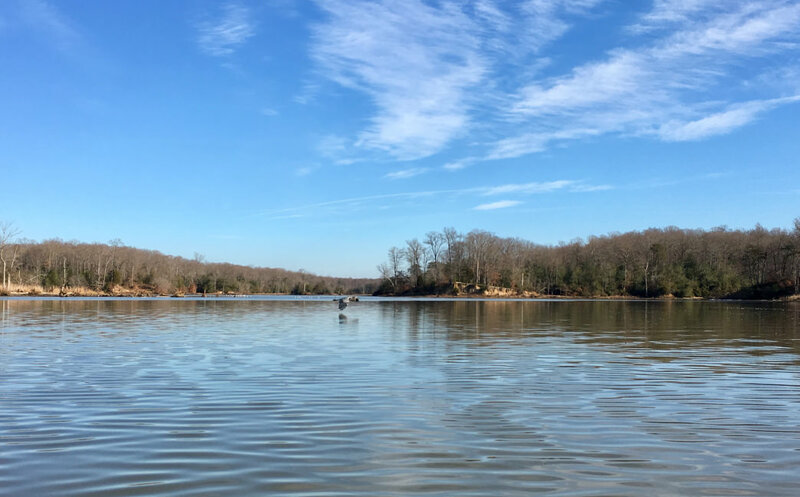 Besides treating paddlers to a thundering close-up of planes taking off, the park also offers a free boat launch, operated by the Virginia Department of Game and Inland Fisheries. Paddling Kane’s Creek, at Virgina’s Mason Neck State Park. Outside Old Town, Alexandria, the Belle Haven Marina ($5 launch fee) puts paddlers in the water alongside the Dyke Marsh Wildlife Preserve. One of the largest freshwater tidal wetlands in the capital area, the cattail-edged marsh harbors 270 birds, including red-shouldered hawks and bald eagles during the winter. North of town, on the Maryland side of the river, the Old Angler’s Wayside offers a sandy bank beside Sherwin Island, ideal for kayak launches. The launch offers paddlers a smattering of nearshore islands to explore, and easy access to the surging waves and rippling eddy lines of Mather Gorge. 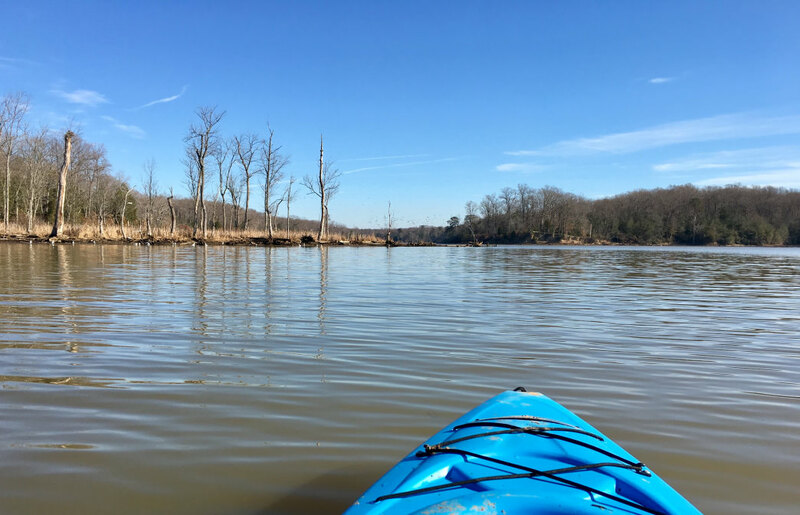 From Old Anglers, paddlers still easing into winter kayaking can explore the easily navigable Chesapeake and Ohio Canal, including the lake-like bulge dubbed Widewater. About an hour south of the city in Nanjemoy, Maryland, is one of the best-kept secrets on the river: Mallows Bay. The inlet is the location of the largest ship graveyard in America, harboring nearly 200 vessels, including the remnants of a World War I ghost fleet. A handful of the vessels are visible above the water, like the 291-foot U.S.S. Accomac. Half an hour south of the capital, Virginia’s Mason Neck State Park spreads over a sylvan peninsula, engulfed by Belmont Bay. 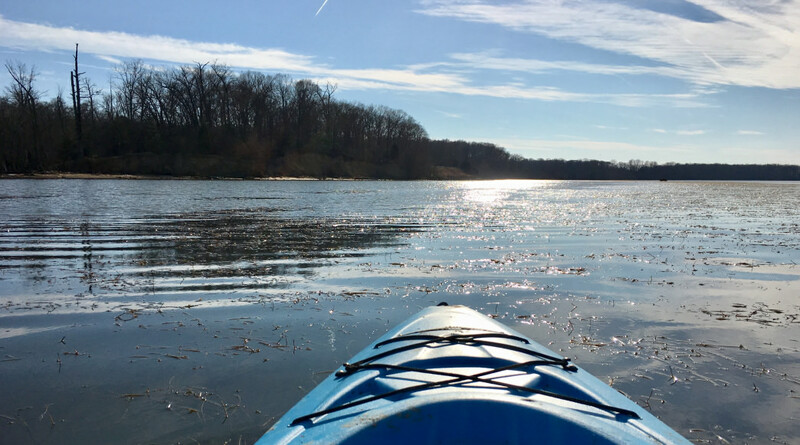 From the park’s all-season launch, kayakers can strike out into the watery expanse of Belmont Bay, or paddle a portion of the 40-mile Occoquan Water Trail. Kayaking the Occoquan Water Trail on a December day, at Mason Neck State Park. Kayakers keen to hit the water in winter have to plan accordingly for both water temperature and air temperature—and dress for the worst-case scenario: immersion. According to the National Center for Cold Water Safety, any water with a temperature below 70° Fahrenheit should be treated with caution. Even on unseasonably warm winter days, water temperatures still hover at dangerous levels, meaning the right gear can be the difference between a disaster scenario and an exquisitely uncomfortable event. 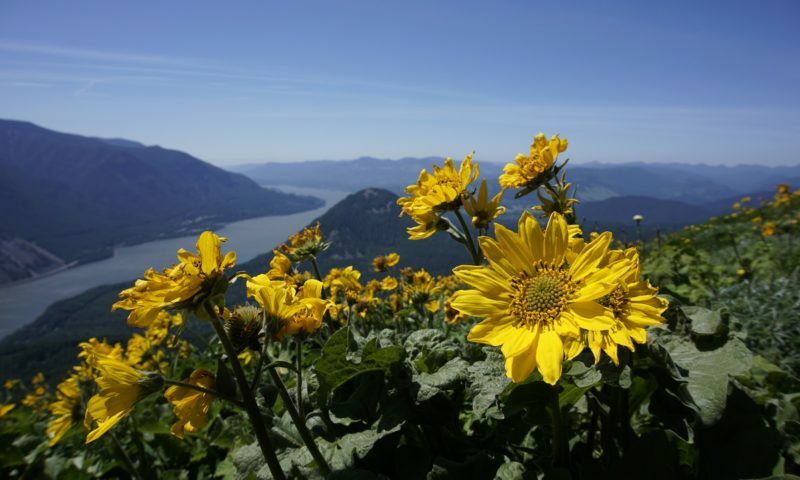 The American Kayaking Association recommends a wetsuit or drysuit for water temperatures above 55°F and a drysuit for temperatures below 55°F. Brands catering specifically to paddlers, including Northwest River Systems, Kokatat, and Immersion Research, offer drysuits designed for winter kayaking. 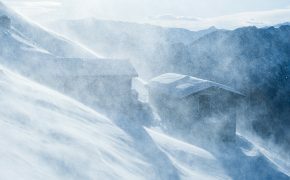 Above the surface, winter paddlers also have to contend with frigid conditions, blustery winds, icy sprays, and the omnipresent risk of hypothermia. Follow the standard outdoor guideline of dressing in layers and avoiding cotton. If you’re not wearing a drysuit, opt for a waterproof dry-top or paddling jacket, and don’t forget about the extremities. Frozen fingers can fail in clutch situations, so neoprene gloves, mitts, or pogies are essential. Keep feet happy—and most importantly dry—with options like rubber-soled neoprene booties or waterproof winter boots worn with gaiters, or go old school and pile on socks beneath knee-high rubber Wellingtons. For outings that include icy slogs to the river or extensive portage hauls, paddlers may also want to invest in micro-spikes for added traction. 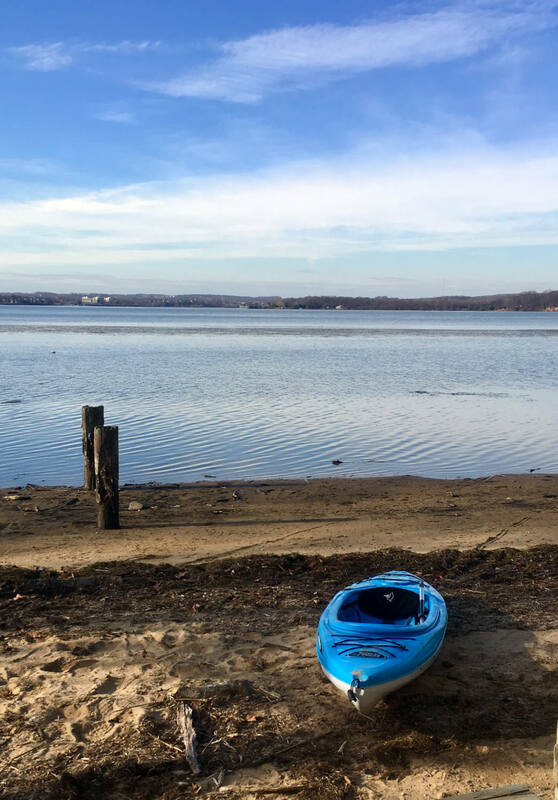 Besides weather, winter paddling on the Potomac can bring additional challenges. In case of an emergency, count on fewer paddlers on the water and many amenities being closed. Low water can make tackling some of the river’s tributaries more challenging. Try planning paddling trips during slack-tide periods to avoid challenges created by currents. Be sure to check current streamflow data from the United States Geological Survey and marine weather forecasts from the National Oceanic and Atmospheric Administration, and become familiar with the Potomac’s tidal patterns.